These tracks run south from the main line just north of the Kinnickinnic Parkway across Oklahoma Avenue. 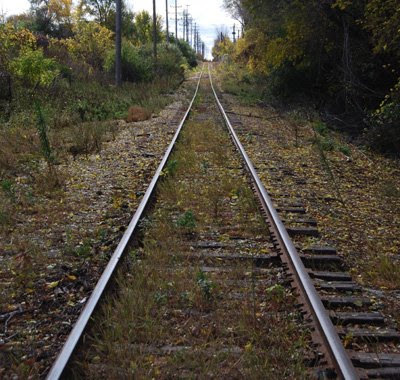 They don't appear to be used very often, considering the high weeds between the rails and the fact that the rails are fairly rusty. There are a couple buildings with rail sidings near here, so I suspect that there are cars moving through from time to time.